Donald Thomas’ book The Secret Cases of Sherlock Holmes is a rare treat, hitting upon a brilliant idea for a Sherlockian pastiche. As Dr. Watson explains in an introductory letter, Sherlock Holmes has died and his private papers have passed into the good doctor’s hands. These papers worry a good deal of important people, who would like to set fire to the documents on the spot. But after much bargaining, a compromise is reached: Dr. Watson is to have access to the papers and is allowed to chronicle some of Sherlock’s most secret cases. Afterwards, the stories (as well as Holmes’ papers) are to be suppressed for seventy years, to see the light of day only long after the principal players have all died. And thus, Dr. Watson explains, this is the first time he dares to take up his pen and chronicle Sherlock Holmes’ most secret cases, completely uncensored and with no attempt to disguise the famous people involved in the mysteries. For instance, we learn that The Adventure of Charles Augustus Milverton was largely fictionalised in order to protect the identities of the persons involved – in reality, the notorious blackmailer was Charles Augustus Howell, who was found with his throat cut and a ten-shilling coin stuck in his mouth: the slanderer’s reward. Another of Holmes’ cases, mentioned in passing, involved a forgery case in which Holmes was of some service to Lestrade; Dr. Watson reveals that it was in fact the Bank of England forgeries of 1873, “when the Bidwell brothers came within a hair’s breadth of having the Bank’s funds at their mercy”. It is, to be sure, a marvellous idea, and I’m happy to report that the result is excellent. To put it frankly, Donald Thomas has written one of the finest volumes of Sherlockian pastiches I’ve ever read. If I didn’t know better, I could have sworn that Sir Arthur Conan Doyle himself wrote these pastiches, and that rarely happens. Thomas’ imitation of Conan Doyle’s style is uncanny, and he even has a ready-made explanation for the few stylistic differences: Watson is at last telling the full, uncensored truth, secure in the knowledge that when the truth comes out it will no longer matter. (This even plausibly explains the Canon’s internal inconsistencies.) These tales are well-worth of the Canon and explain to you how Holmes’ hand was behind some of the most sensational mysteries of his times. For instance, the opening story, The Ghost in the Machine, describes how Sherlock Holmes was the scientific detective who saved Dr. Thomas Smethurst from the gallows in 1859, long before he met Watson. Dr. Smethurst was a cad and a bigamist, and when his wife died under mysterious circumstances he was immediately suspected of poisoning her with arsenic. The case against him looked black indeed, but Sherlock Holmes was able to demonstrate the man’s innocence of any murderous wrongdoing. Afterwards, Dr. Watson recounts how Sherlock Holmes was at hand when the Irish Crown Jewels disappeared in 1907. The Case of the Crown Jewels describes how the jewels could have disappeared under apparently-impossible circumstances. It is an ingenious solution as to how a thief could have gained access to the jewels and framed Sir Arthur Vicars for the theft. The third story, The Case of the Unseen Hand, is equally interesting. Sherlock Holmes travels to France and attempts to convince the eminent anthropologist, Alphonse Bertillon, about the validity of fingerprint evidence. Not only do the two great minds disagree on the usefulness of fingerprints, they also find themselves in disagreement about the Dreyfus case: Holmes is of the opinion that it is an appalling miscarriage of justice, while Bertillon seems quite convinced that the man was guilty of treason. But it is not the Dreyfus case which Holmes is here to investigate: he is instead recruited as a bodyguard of sorts… but saying more would spoil a fine story. The Case of the Blood Royal is perhaps this collection’s masterpiece. 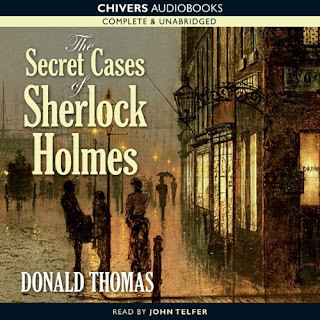 It is a triumph of plotting, as Dr. Watson finally tells us the full story of the case of Charles Augustus Milverton. It is a triumph of imagination. The plot is complex and fascinating: it’s hard to tell just where history stops and fiction begins. It involves the blackmail of the royal family itself, and without spoiling too much, I can safely say that it forms an ingenious and worthy prequel to The Final Problem. Thomas also makes some very interesting alterations to the Canon. I don’t want to say too much, but these ideas throw a very different light on the Great Hiatus, all while plausibly remaining in the parameters established by Conan Doyle. This is one of my new all-time favourite pastiches. In The Case of the Camden Town Murder, Sherlock Holmes is asked to clear the name of an artist, Robert Wood, who is accused of the “Camden Town Murder”, the gruesome murder of a prostitute by the name of Emily Dimmock. She was discovered with her throat slit from ear to ear, and a witness swears that he saw Wood leave the house at about the time the victim must have died. Holmes investigates and provides a brilliant defence for the man’s lawyer, the great Edward Marshall Hall. Although the murderer is not captured at the end of the story, Holmes makes his suspicions quite clear. The next story, The Case of the Missing Rifleman, also involves Sir Edward Marshall Hall and another of his most famous cases. This time, Holmes investigates the “Green Bicycle Murder”, when a man named Ronald Light was accused of shooting a young woman named Bella Wright. There is overwhelming circumstantial evidence pointing towards Light as the girl’s murderer. Holmes’ investigation leads to the bruising of egos on both his and Sir Edward’s behalves. I found this the weakest story of the collection, but when your the weakest story is as good as this one, it is an excellent sign indeed. Finally, Holmes travels to Japan to investigate The Case of the Yokohama Club. This is another brilliant story with an absolutely ingenious solution right out of the Golden Age of Detective Fiction. It’s based on a sensational murder case, but I honestly have no idea where the fiction begins and where the history ends. At first glance, I would say that this kind of story is too complicated to happen in real life, but it’s quite possible I’m wrong and the murder took place exactly the way Holmes deduces it to have taken place. Either way, this is a corker of a locked-room mystery, with at least two impossibilities which Holmes brilliantly deduces even before leaving his rooms at Baker Street. When it comes to Sherlockian pastiches, there are several classic blunders. Watson is often made to look like a moron, or he acts like comic relief, slipping on banana peels and obliviously throwing vital clues away. 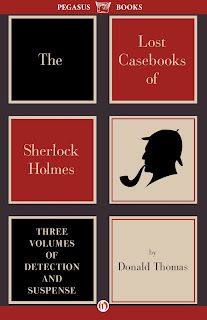 Many authors use the apocryphal phrase “Elementary, my dear Watson!” over and over again. Others are under the impression that the Conan Doyle style implies using a long word every once in a while to remind readers that they are in the Victorian Era. Donald Thomas does not commit a single one of these blunders. His imitation of the Conan Doyle style is uncanny; and as far as I can recall, he does not even use the word “elementary” throughout the book, which is in itself quite an achievement. 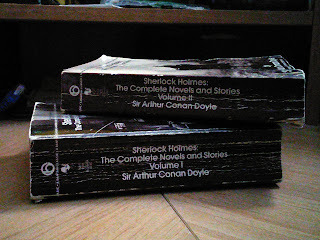 Overall, I’m very pleased with The Secret Cases of Sherlock Holmes. This is quite possibly the best volume of Sherlockian pastiches ever written in the English language. (It even gives the work of French author René Reouven a run for its money.) The imitation of Conan Doyle’s style is careful and elegant, and the few differences in style are easily and plausibly explained by the set-up. Even the weakest stories are very good ones. It’s wonderfully plotted and very true to the spirit of Sherlock Holmes. It's a welcome addition to the Holmesian Canon. My only regret is not having discovered these stories sooner! Note: I was given a review copy of this book by The Murder Room in exchange for an honest review. The review copy I received is a paperback, print-on-demand book and I can recommend it very highly. The proofreading and editing are both good; the font is clear and a bit on the large side, making it an easy edition to read. I enjoyed this book so much that I also went and purchased a Kindle edition for my own personal pleasure. A quick skim-through leads me to believe the Kindle edition is also well-formatted and proofread. Wow Patrick, it sounds like you've hit the jackpot. I am not totally unfamiliar with Thomas though. I have attempted to read a couple of his short story collections, "The Execution of Sherlock Holmes" and "Sherlock Holmes and the Ghosts of Bly," but I must admit, I wasn't very impressed by what I saw. I didn't feel as though Thomas truly captured the Doyle-voice and his stories were far too long. Nevertheless, I will have to look into this one though since you have given it such a glowing review. It seems that the later volumes of Thomas' continuations are not entirely in line with the stories of this first volume. 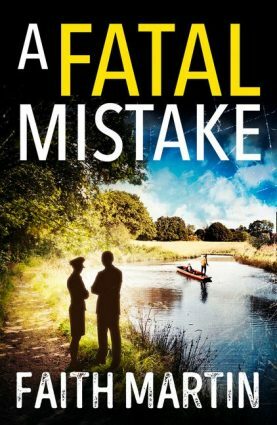 At least, my perusal of the preview of Book 2 suggests that it gives you yet another version of the Milverton story, which has been established as the murder of Howell in this one. It also seems later entries are more Bond-like, with Holmes on Her Majesty's Secret Service. However, I really do think this is one of the best pastiche volumes I've come across, with the Milverton-Moriarty story being a particular highlight. I can highly recommend it with a clear conscience. Blimey Patrick - you were so positive that I was steeling myself for a 'gotcha' at the end - great to hear that this is indeed a good one - I need no more inducement, cheers matey. Oh come on, Sergio, am I really that bad? My recent negative rants were caused by the ghost of Harry Stephen Keeler, releasing the news of the new Poirot on the very same day I chose to rant about "Father Brown". In reality, my reading lately has been most excellent, with DOVER ONE, THE WOODEN OVERCOAT, and this book being among 2013's highlights. And even my television has redeemed itself as I've been watching the brilliant series LUTHER. ok.. now I feel obliged to read this book. Lets hope its all you claim it to be my friend.